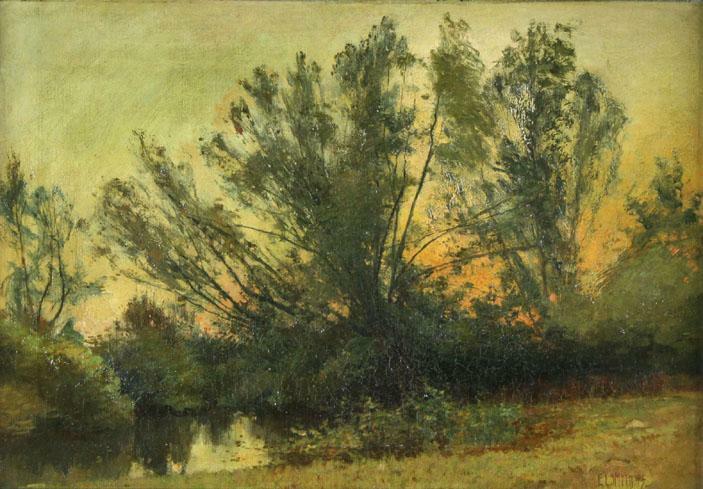 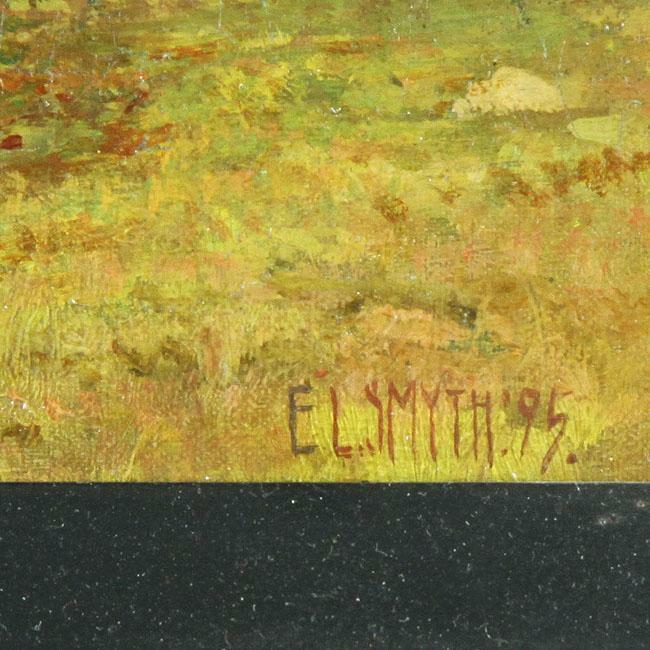 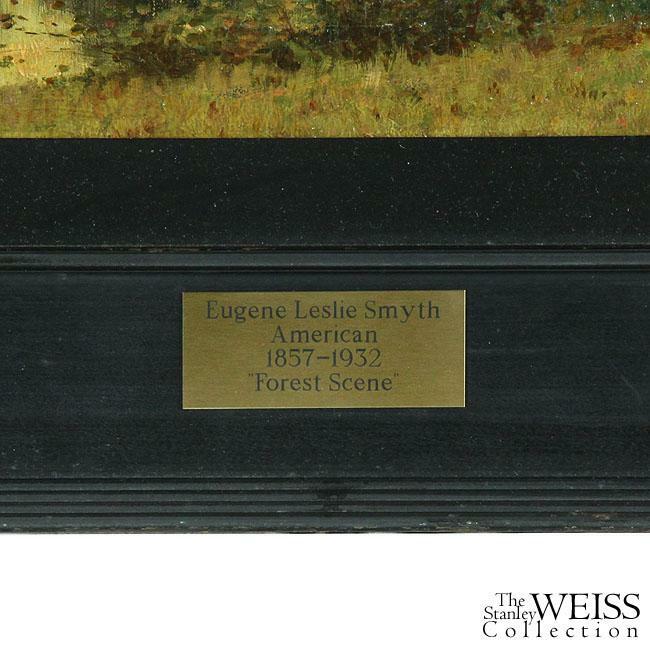 Leslie Smyth was born in Townsend, Vermont, lived in Providence, and exhibited Brooklyn Art Association, and Boston Art Club 1884-1888. 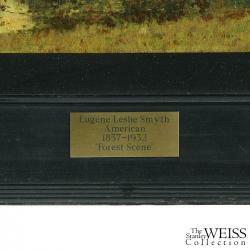 Smyth was a member of the Providence Art Club and worked at Tilden-Thurber, Co. as the staff expert on oil paintings. 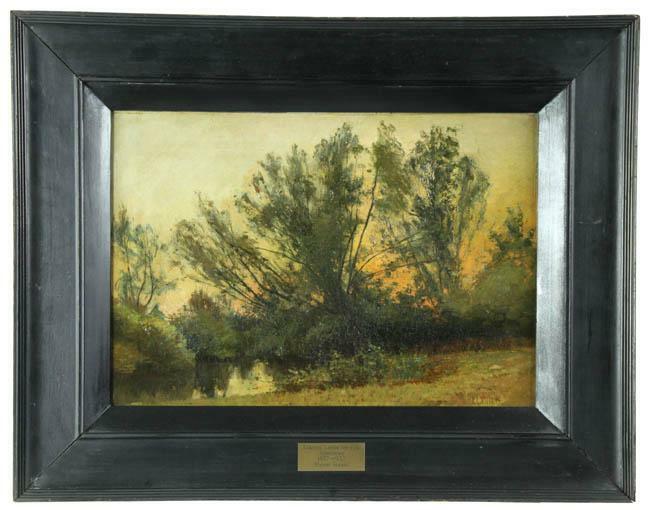 This painting is in original condition, unlined, with its original frame. It is of a very dreamy impressionistic style. Art: 13 3/4" x 19"
Frame: 22" x 27 1/2"